I have mad love for some of the eyeshadow palettes at the drugstore. 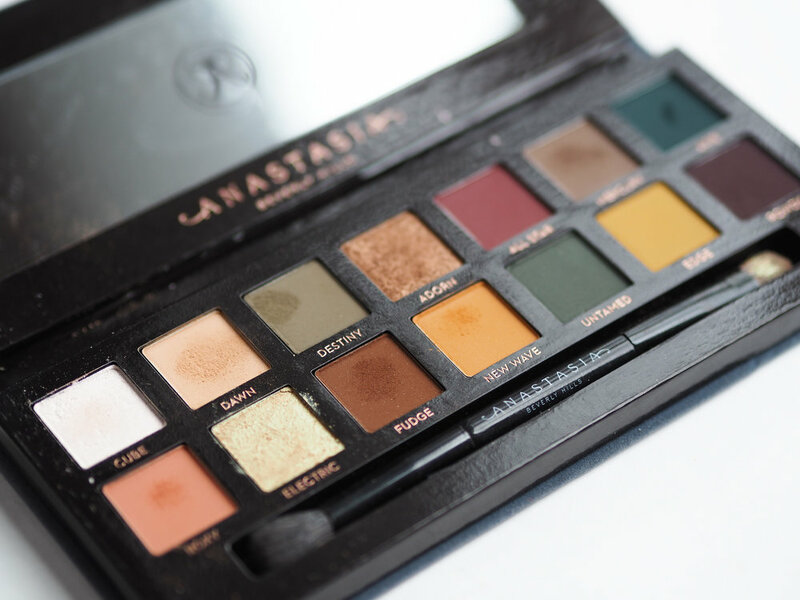 Some are quite the hidden treasures, and while I love saving a buck (or thirty), there is nothing quite like the quality of some of the higher-end palettes you'll end up shelling out forty or fifty bucks for. I waxed poetic a few weeks ago about my first big Sephora purchase, and while the Urban Decay Naked palettes are certainly favorites in my collection, nothing, in my opinion, holds a candle to the Anastasia Beverly Hills eyeshadow palettes. 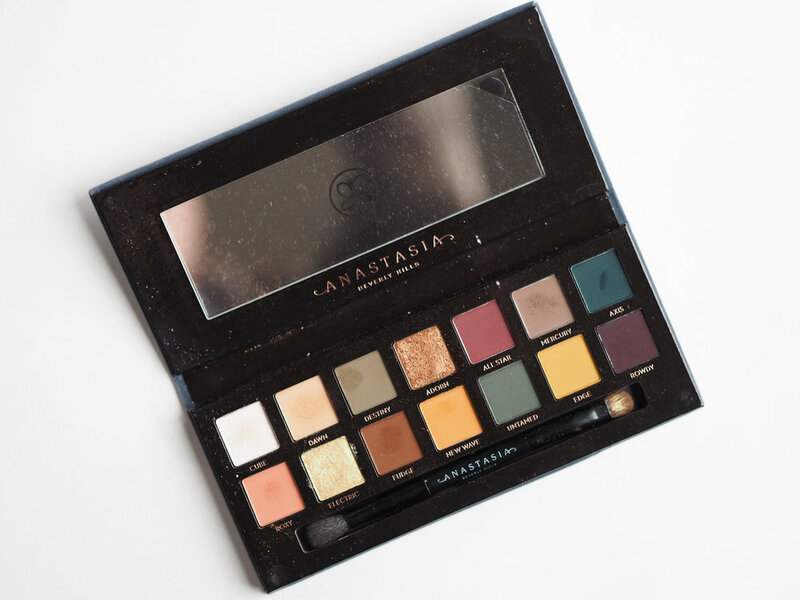 This is how I know the ABH palettes are my favorite and most-used: One lives at all times on my vanity somewhere. Any time I go on vacation or go away for the weekend, I pack at least two of them. I also feel like I never have a bad makeup day when I wear them, and the days on which I do often turn out to be the days when I get the most compliments on my eyeshadow when I'm out and about. Have I convinced you to buy one of these magic-makers yet? If so, keep reading for a breakdown on my three favorite palettes and why one might be better for you than the others. If you can't tell by the absolute mess of a palette this is, the Modern Renaissance palette is the most-used in my makeup closet. It's also the one palette I have used on every friend's makeup I've done the past year for their weddings. I was truly hesitant to purchase this guy because of how pink-toned the shades are. I never imagined myself making much use of the raspberry and orange shades, and while they're certainly not as well-loved as the lighter, neutral shades, I use them frequently enough to have overcome my fear of them. This palette is for you if you're willing to take a bit of a risk and tend to be a bit more girly when it comes to your makeup. 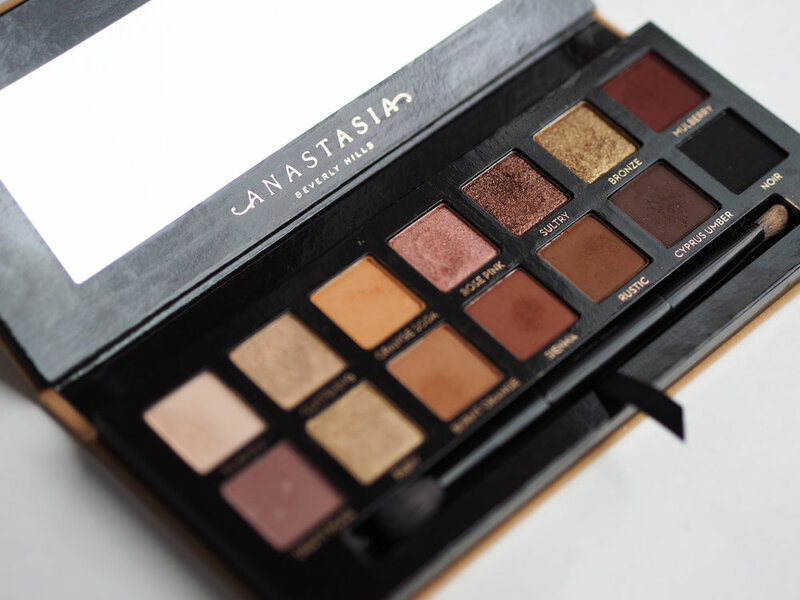 This palette caused quite the drama on the internet when it launched because of its slightly different formulation to its sister Modern Renaissance palette. The shadows are definitely different in that they're much more powdery (which leads to quite a bit of fallout on your face, so consider yourself warned if you put on your base makeup first). However, I love the Subculture palette and find that if I'm not too eager with my brush, I can get minimal eyeshadow on my cheekbones. There's a great mix of neutrals and very wearable colors that can be incorporated subtly into your look—perfect for fall, in my opinion. This palette is for you if you prefer a bit of muted color and want something that will go hand-in-hand with your autumn wardrobe. The newest of ABH's palettes, Soft Glam is a beautiful neutral, warm-based addition to the family. It has a few cool shades in there to mix it up, but primarily I use it to achieve very warm looks with a hint of pink. I'm wearing this palette on my eyes in the above photo, and it's more reminiscent of Modern Renaissance than Subculture in its formula. There is some crossover in the shades from Modern Renaissance to Soft Glam, but both palettes are different enough that it's worth getting both if you're willing to make the investment. 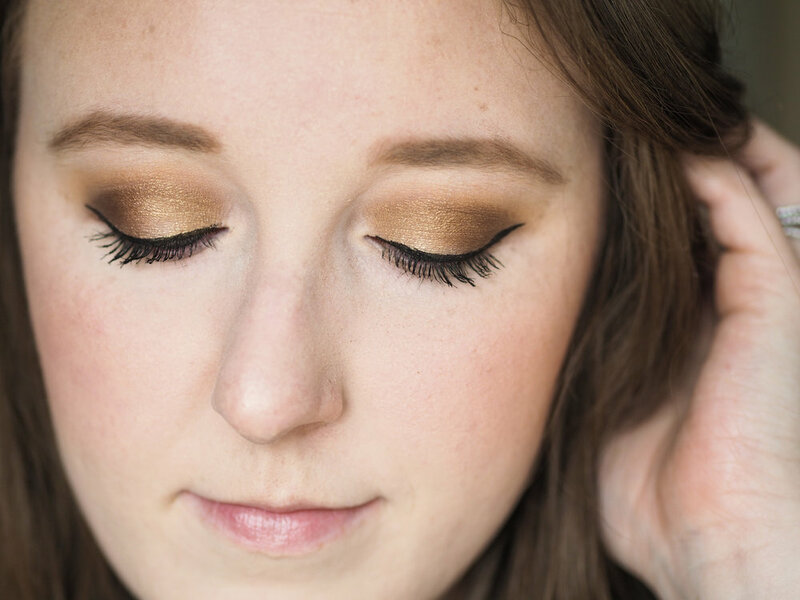 This palette is for you if you love warm shades and want something very wearable from work to weekends. These palettes are so high-quality that they're worth every penny and more of the $42 price tag. ABH has done an incredible job with the color schemes, wearability, and longevity of these eyeshadow palettes that they just can't be beat. Which one is your cup of tea?